No. This is not a joke (it is April 2, people). It's just bad design. 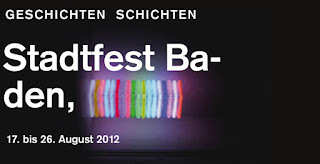 This is the logo for the Baden City Festival. Or at least, a sad excuse for a logo. It really bugs the Frau because it's everywhere in Baden. On bus wraps. On posters. In her mind (She works in advertising so please excuse her, she's a little strange and these kind of things drive her crazy all the time). den?" After all, for German, it's a very short word and there is plenty of room to write the five letters in the second line of this logo. 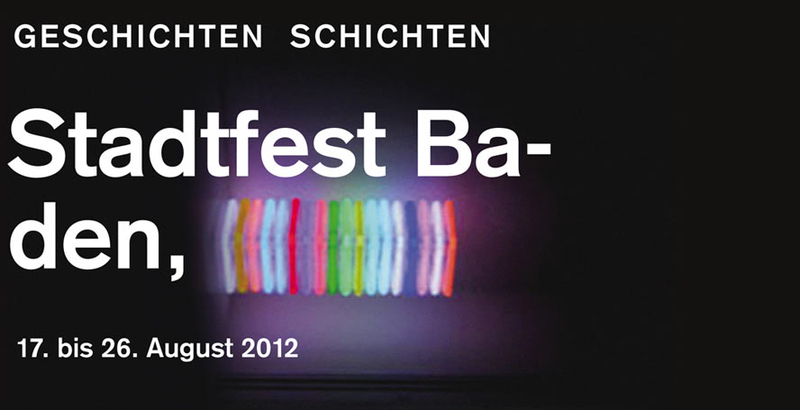 den festival pin for CHF 40. With this logo on it. For the pleasure of not being able to sleep for 10 days. Oh, the joy that is Switzerland sometimes. Is it just the Frau being overly sensitive? What do you think of this logo? The mind boggles! Switzerland hasn't morphed into a third world country, has it? Ha, ha. Well, with this logo you could make that argument. Sounds like Stadtfest would be a good time for a vacation. that logo and letter placement is horrible! I hope you are getting out of dodge for this festival. sounds like a nightmare for sleeping! They can't be good at everything!!! Swiss rap. The horror! I feel we could greatly benefit from each other. If you are interested feel free to send me an email. Amazіng! This blog lookѕ exactly like my old one! lucky they felt to have each other as their spouse. I feel this is amоng the so much іmрοrtant informatіon foг me.